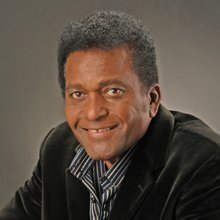 Fifty years ago this year, Charley Pride released his first single, The Snakes Crawl at Night, under his new contract with RCA Records. The record was a flop as was his second, Before I Met You, but RCA was patient and their third Charley Pride release, Just Between You and Me, went to number 9 on the country singles chart. The fact that Pride was able to place that high on the charts was huge to country music which, at the time, was a very rural genre and one whose fans were, let's just say, not accustomed to being entertained by a non-white artist. Nonetheless, Pride was more than accepted with Just Between You and Me being the first of 52 straight singles of which 51 made the top ten and 29 reached number 1, making him one of the biggest acts in country music from the mid-60's to the mid-80's. This year, Pride celebrates fifty years of hits with a tour that, so far, includes eleven dates between Saturday night and November 18 with more to be announced. Pride told Rolling Stone "I feel blessed that I'm still going strong after 50 years. I've always loved to sing for audiences and that's never going to change. It's been a joy to visit so many different places in the U.S. over the years. And, of course, I always enjoy traveling Canada. The people of Canada have been wonderful to me going back to the very start of my career."